Roy Rowan in Saigon in 1975. Wars are usually long periods of boredom punctuated by brief episodes of sheer terror. When the fighting ended in Saigon in April 1975, most of the overworked correspondents escaping from the North Vietnamese forces’ advance, myself included, wanted a respite – a return to home and family, perhaps a long cool drink or 10, and, most importantly, as much distance as possible from anything to do with the conflict. But not Roy Rowan, Time magazine’s last Saigon bureau chief. A couple of weeks after Saigon fell, news reached Hong Kong of what would prove to be the last combat incident of the Indochina War: Khmer Rouge seizure of an American container vessel, SS Mayaguez. In the ensuing 3-day action, 38 Americans and an unknown number of Cambodians died. “This story will soon be over,” Roy told me in Hong Kong, “but there’s a book in this.” He had been regretting that at age 55, after 28 years in journalism, he had never had time to write more than news reports. With six weeks’ vacation owed by Time, he was soon off on an intensive research swing interviewing Asia-based survivors and in Washington, President Gerald Ford and Secretary Henry Kissinger. His first book soon appeared, The Four Days of Mayaguez. Nine more books were to follow. As this record of his career will tell you, there were few colleagues able to match his energy. Roy Rowan died September 13 in Greenwich, Connecticut, aged 96. His passing was no ordinary event. He was the last of what was once a large band of legendary American journalists who covered the Chinese civil war, by-lines that included such other members of the FCC in Hong Kong and Shanghai as Robert Shaplen (Newsweek and the The New Yorker), Tillman Durdin (New York Times), Teddy White (Time-Life), Ernest Hauser (Reader’s Digest) and Henry Hartzenbusch (Associated Press). Roy Rowan interviewing President Ford in the White House. Born in New York City in 1920, Roy graduated from Dartmouth in 1942, was immediately drafted into the army, rose to major, and spent two years in New Guinea and the Philippines. In search of continuing adventure, he joined the UN Relief and Rehabilitation Administration in China. While distributing food and clothing to peasants caught up in China’s civil war, he filed reports and photographs on spec to Stateside publications. A file “The Stadium of the Skulls” – photos of the remains of 5,000 Chinese massacred by the Japanese – led to his hiring by Life, then edited by founder Henry Luce. The pro-Nationalist son of an American missionary in China, Luce used his magazines to influence Washington’s China policies. Roy and Birns produced articles on what Roy described as “sham battles being fought by the Nationalists,” helping Luce face the war’s reality. Shortly after Shanghai fell to the People’s Liberation Army in 1949, Roy moved Life’s Shanghai bureau to Hong Kong. His papers, held by Hartwick College of Oneonta, New York, record his eyewitness involvement in the next five industrious, tumultuous decades: the Malayan Emergency, Korean War, Japan’s resurgence, assignments in Italy, Germany and Chicago, then back to New York as one of Life’s assistant managing editors. His editing team was just finishing the November 29, 1963 issue of Life when word came of President John F. Kennedy’s assassination. Within two hours, Roy had flown to the Chicago printing plants, where he remade the magazine using the now-famous Zapruder movie film, the only photo record of the president being shot. In 1969, Roy began working on magazines he had suggested to Time Inc. On the Sound and On the Shore were dedicated to the region he loved so much, the waters around Long Island Sound and Chesapeake Bay. But when Time Inc.’s backing ultimately fell through, the publications eventually folded, and the company saved Roy from unemployment by retrieving their old warhorse. In November 1972 he returned to Hong Kong as Time’s bureau chief, based in Hong Kong but with responsibilities for all Time’s Asia-Pacific editions. The Indochina story loomed largest. Roy wrote more than 50 articles covering the war and was in Saigon for the hurried helicopter evacuation. In 1977, Roy moved from Time to the Board of Editors as a senior writer at Fortune. Between then and his “retirement” in 1985 he wrote 65 major articles for the magazine. From 1998 to 2000, Roy served as president of the Overseas Press Club of America. When his term ended, the club established a Roy Rowan scholarship for aspiring young journalists. Meantime, he worked on a string of books. These included “The Intuitive Manager”, which drew on numerous interviews with American CEOs to explain how to turn a “hunch” into a well-calculated management step, and “First Dogs: American Presidents and Their Best Friends”, made into a Discovery Channel documentary. “Intuitive Manager” sold 350,000 copies, was translated into 10 languages and formed the basis of innumerable videos and tapes. Roy Rowan in Hong Kong in 1949. Roy’s colleagues remember him as a no-nonsense editor. Once in Hong Kong he assigned a photographer-correspondent team to cover a story about an insurrection in the Philippines. Lacking a frontline pic, the photographer apparently talked the correspondent into dressing up as an armed guerrilla prowling through the jungle. Poring over the contacts, Roy detected the hoax. New York recalled both staffers, who were summarily dismissed. One likes to think that current print publications, buffeted by the near-disastrous draining away of ad revenues by television and the Web, would handle the costs of this failed assignment in the same way. Though the fact in no way detracts from their accomplishments, Roy and his colleagues were fortunate to be print journalists whose careers coincided with a quite remarkable flowering of wildly successful US publications after the First World War, e.g. Reader’s Digest (1922), Time (1923), The New Yorker (1925) and Newsweek (1933). Though I’d like to think otherwise, It’s unlikely that we’ll see again such an abundance of well-rewarded opportunity for foreign correspondents. Despite Roy’s travels and home-base disruptions, Roy and Helen raised a notably successful, loving family of four sons. 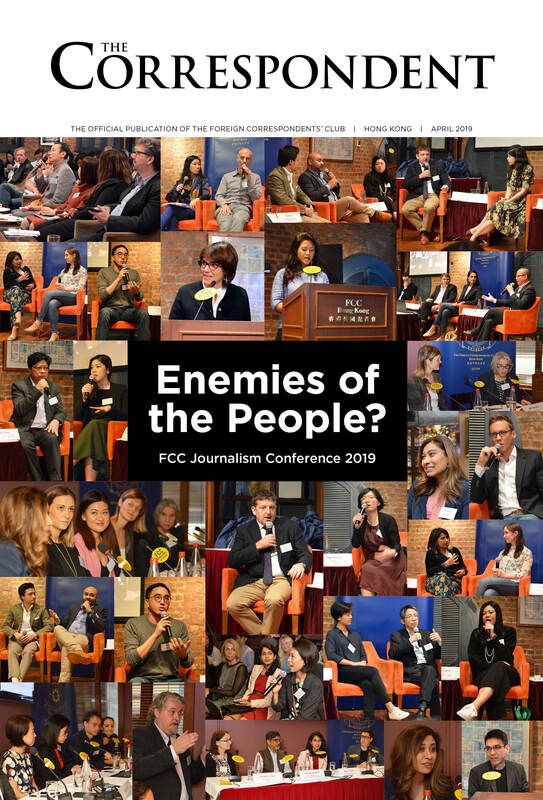 Photographers Robin Moyer and David Burnett of the FCC, who joined Roy on several assignments, recall his camaraderie and his tolerance, even for journalists born long after Roy had begun his climb and the events he covered were all but ancient history.